As a summer hotspot, have you ever stopped to wonder what there was to do in Osoyoos during the winter? 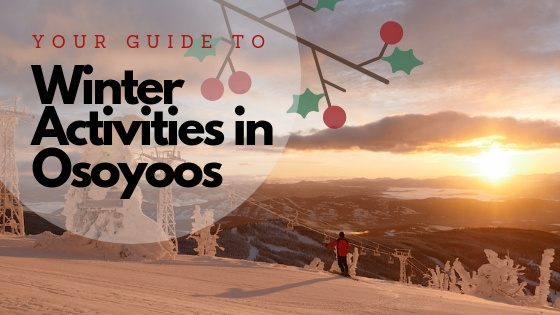 There are lots of winter activities in Osoyoos for you to enjoy! Read below for the winter to-do list. Enjoy some fresh air and take a stroll along one of our spectacular trails. Some local favourites include the Oxbows (5km), the Irrigation Canal walkway (4.3km), Lakeshore Dr (6km), Pioneer Walkway (3km), Swiws (formerly Haynes Point) Provincial Park (2km), and the International Hike and Bike trail (18.4km one-way). Join the Vinstitute every Sunday at 10:30am and 1pm at Intersection Estate Winery to learn how to better appreciate wine in a fun and casual learning setting. Enjoy the numerous wineries found in and around Osoyoos during the most magical time of year! 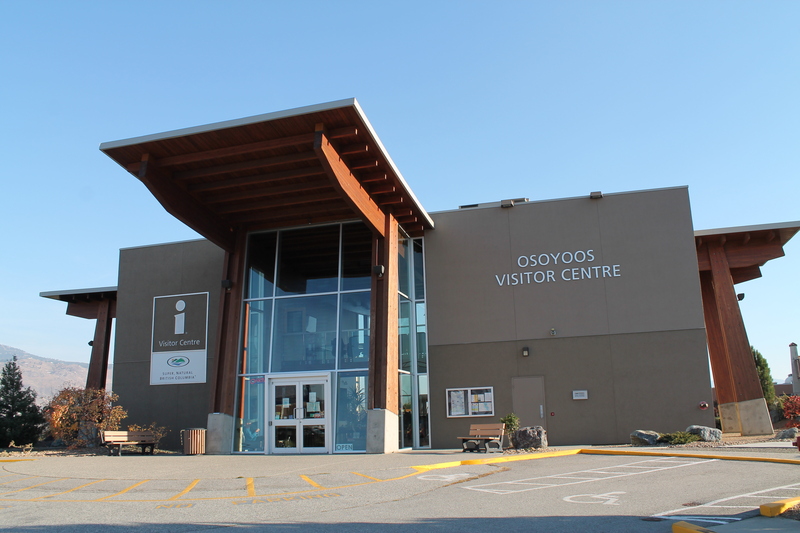 Grab a winery passport map from the Osoyoos Visitor Centre and spend the day enjoying the reds, whites, and roses. Keep your body moving this winter and join one of the many local gyms that offer fitness classes! The Sonora Centre, the Senior’s Centre, Advanced Fitness Club, and Three60 Fitness all offer a variety of classes designed to keep you flexible and moving. There are a number of venues that allow you to be the star of the show! Both the Sage and Owl Pub will be having karaoke on Thursday nights onwards of 9pm. The New Leaf Cafe will also have karaoke every second Saturday from 2-5pm. Swiws (formerly Haynes Point) Provincial Park and its Wetland trail offer a perfect vantage point for birding. The Oxbows north of Osoyoos on Road 22 also offer fantastic opportunities to view wildlife. Be sure to check out the wonderfully historic movie theater in Oliver, the many events happening at the Frank Venables Theatre, and the events happening at our own Community Theatre at the Osoyoos Seconday School. Warm up and get some exercise at one of the many pools that open to the public during the winter months. Check out the Holiday Inn and the Best Western for more. Pickle Ball has taken the town by storm! There are matches being held for everyone, no matter your skill level. Whether you are a beginner or at the most advanced level of play, head on down to the Sonora Centre to check out their most current drop in schedule or check out the Osoyoos Pickleball Club website. Come out and show your pride to your very own Osoyoos Coyotes. The Osoyoos Coyotes have been past champions of the KIJHL. Catch their games at the Sunbowl Arena in town, and their schedule online! Enjoy a whimsical afternoon skating at the Sun Bowl Arena. The next time you’re there, be sure to catch their walk in schedule. Please be aware that there is no skate rental at the Sun Bowl Arena. Join a team or participate in one of the many bonspeils hosted throughout the year by the Osoyoos International Curling Club. Grab your downhill skis, snowboard, cross country skis, or snow shoes for a great time exploring Baldy’s trail network! Baldy Mountain Resort is located a 1 hour drive from Osoyoos. This small family mountain boasts fresh powder, gorgeous views, and fair prices. There are many exciting events that happen in Osoyoos during the winter months. From long table dinners, hockey games, and winery events to live music performances, plays, and open houses! For the most current events schedule, visits our Osoyoos Events Calendar. For a hard copy of this guide, pop into the Osoyoos Visitor Centre.